The Passenger Pigeon, a species of pigeon that died out in the early years of the 20th century, could have been saved even after it was considered doomed to extinction. As a result of this research, conservationists now have a model to test for functional extinction- defined as a total reproductive failure—allowing them to question species' extinctions in the past, as well as those that may be heading towards extinction. In the case of the Passenger Pigeon it dispels the theory that it underwent functional extinction. Research by conservationists at the University of Kent, with colleagues in Germany and the US, discovered that the species did not actually experience functional extinction prior to its actual extinction in the early years of the 20th century. The team, led by Dr David Roberts, of the Durrell Institute of Conservation and Ecology (DICE) in the School of Anthropology and Conservation, applied a new statistical method to a record of museum specimens of physical remains to test for functional extinction of the Passenger Pigeon (Ectopistes migratorius). Functional extinction is more difficult to detect because changes in reproductive events can be difficult to observe. 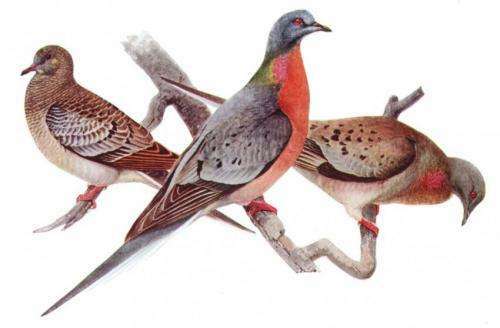 Although it is now too late for the Passenger Pigeon, the results of the research demonstrate that captive breeding efforts were not necessary if hunting controls had been put in places as had been proposed. The results suggest that proposals to reverse the Passenger Pigeon's rapid decline in the late 19th century could have been successful. The demise of the Passenger Pigeon was a major impetus for Federal legislation to protect other wild birds from the same fate.